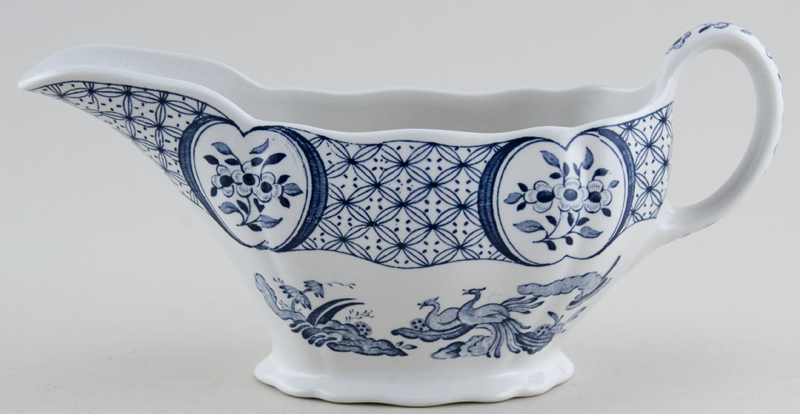 Extremely elegant boat standing on an oval wavy rim foot with flower detail inside the spout and along the line of the handle. Soft slightly darker print. Backstamp: Old Chelsea Furnivals Limited Trade Mark England Rd No 647812. There is just a little minor wear to the rim and underneath to the foot otherwise excellent condition.